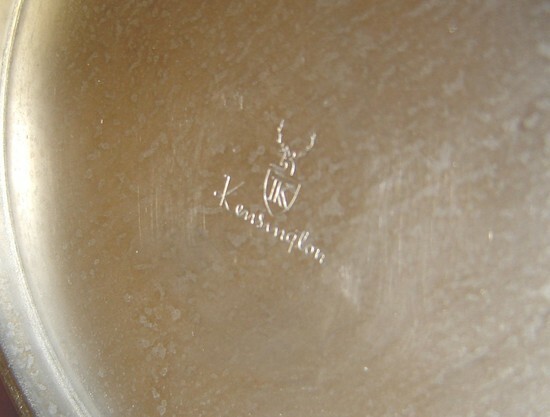 In the fall of 1934 ALCOA (The Aluminum Company of America) introduced a line of household goods called “Kensington Ware” made from a “new aluminum alloy that produces a whiter color than pure aluminum”. Famed industrial designer Lurelle Guild (1898 – 1986) was retained to design the majority of the line. 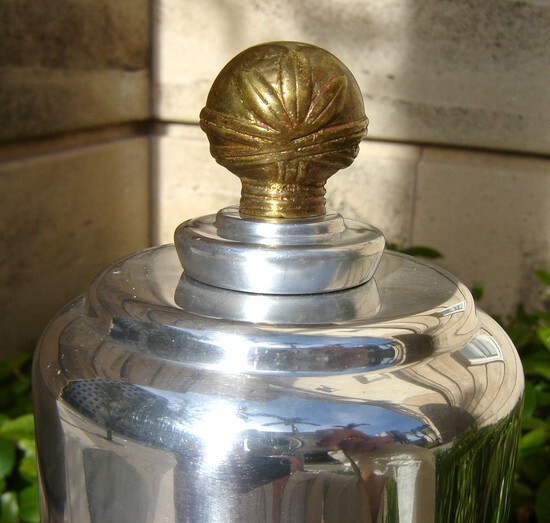 Guild designed this American art deco cocktail shaker in 1935. 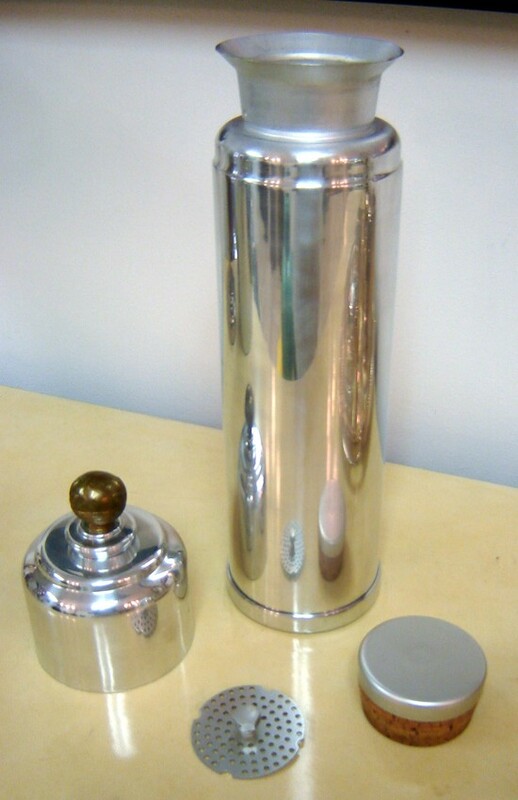 Dubbed the “Coldchester”, the streamline shaker (Number 7251) measures 13 1/8” high and holds 1 ½” quarts.